Glad to see you! 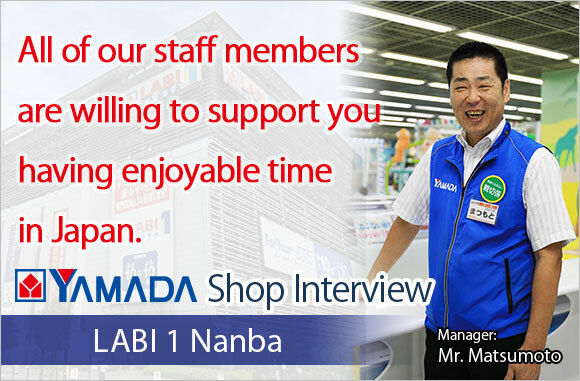 I’m Yoshinori Matsumoto, the manager of Yamada Denki LABI 1 Nanba. 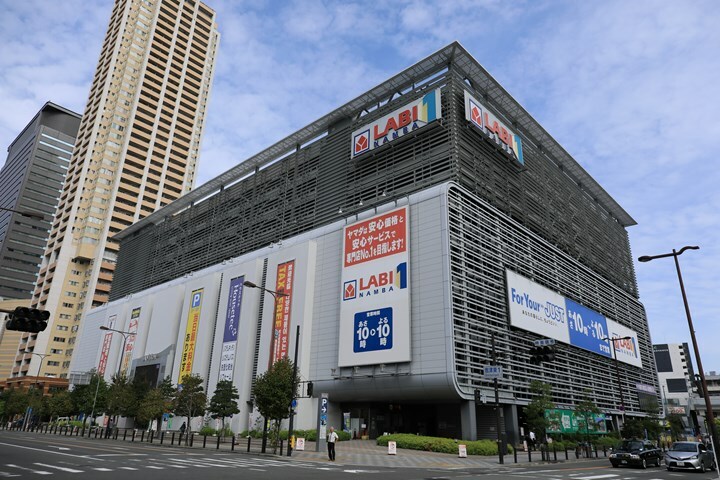 Our store is located at the center of Minami, which is one of major downtowns in Osaka, with easy access to other tourist sites including Dotonbori. 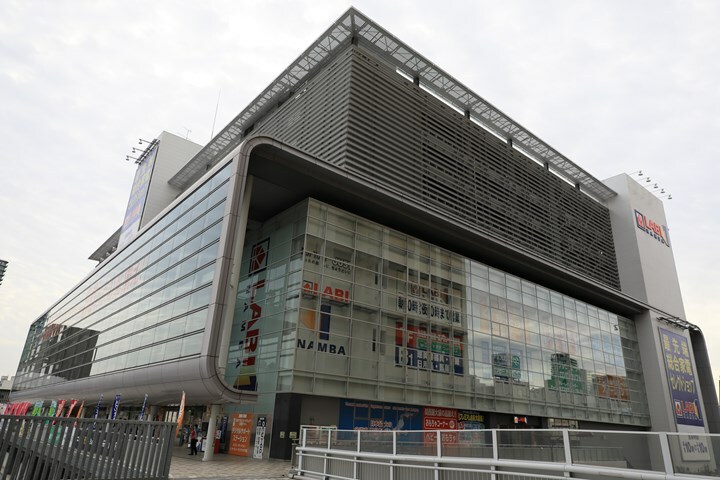 Nankai Railway is available for visitors from Kansai International Airport to move directly to Nanba station. Just about three minutes on foot from there as well as about six minutes from subway Nanba station. Such excellent accessibility is our advantage. 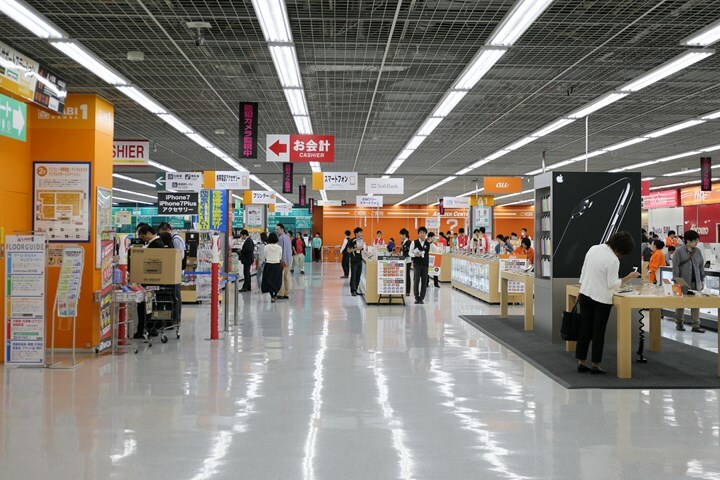 In addition, with the expansive selling spaces of 24,000 m2 in total of five floors in spite of the location at the very center of urban area, our store is one of the largest stores of Yamada Denki across the country with the line of goods as many as 800,000 items. With the overwhelming assortment of products including those selected from across the world, we are waiting for your visit. We have been making every effort on creation of store, layout of shopping space and services based on our basic policy “to provide customers with opportunities to enjoy shopping in a relaxed manner in the store with expansive space.” For example, due to the broad pathway secured, you are able to select products optimal for you at ease from among 800,000 items of assortment. As the pathways are broad enough not to make you feel any stress, you may use shopping cart, baby buggy and wheelchair without any concern. Oppressive feeling and tiredness you may feel during shopping is greatly reduced by intentionally setting the height of display stands lower. 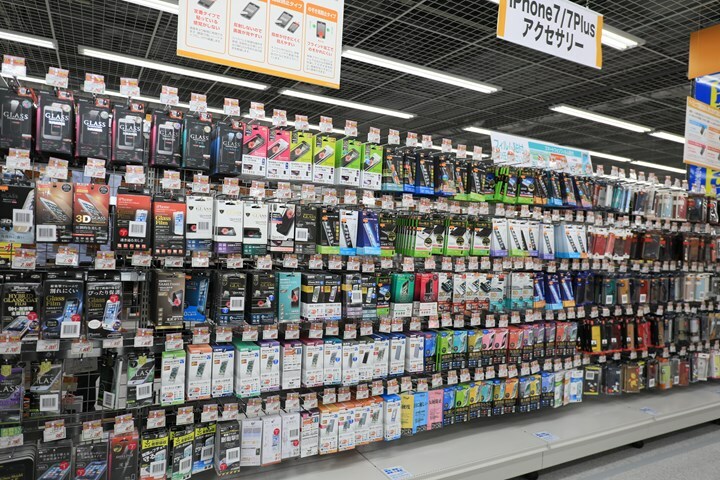 We also pay attention to visibility in the store in order for customers to be able to readily find out selling space and products they are looking for. 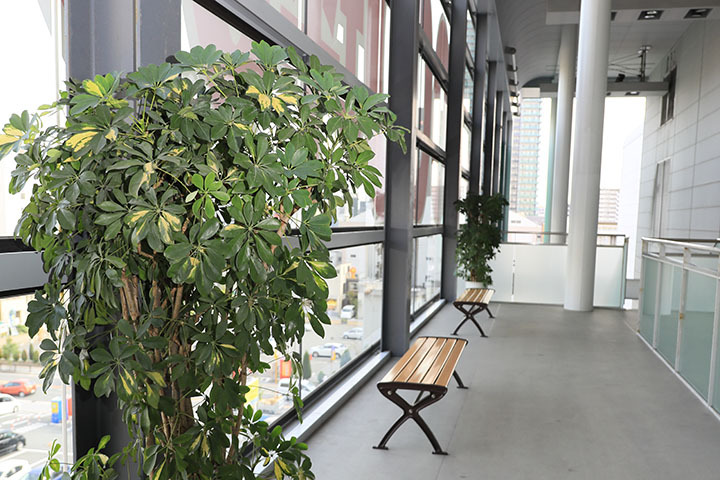 With a lot of rest spaces available at each floor, you may take a rest at any time you feel tired. You may also get cozy with elegance in a café available in the store. We strongly recommend customers with their families to stop by the fourth floor where kids’ activity area is available. The area is extremely popular with visitors both domestic and overseas taking their infants. The kids’ activity space is provided with play instruments with excellent safety and they are very popular with children. 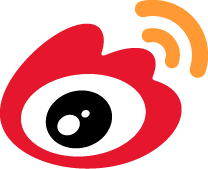 Full-time staff capable of speaking Chinese are there to support customers. 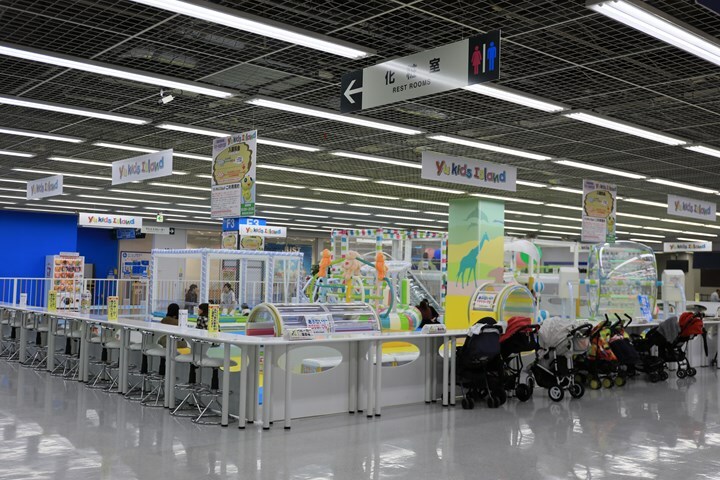 As a selling space of entertainment goods including toys and games is established at the same time near the kids’ activity area, you are able to spend enjoyable time with your family at ease. 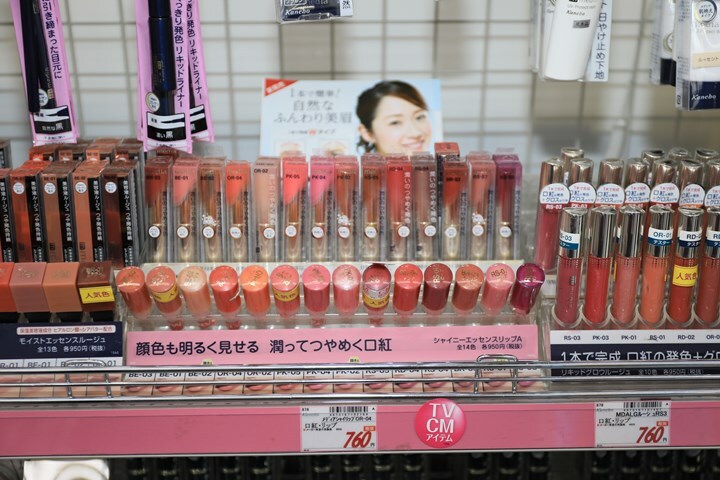 Tax-free counter with high popularity with customers from overseas as well as selling spaces for products of drug, cosmetics, instrument for hair and facial treatment and daily commodities are all integrated on the first basement floor. Therefore, please visit the first basement floor in case of purchasing Japanese souvenirs and commemorative products. We’re sure that you will be greatly satisfied on the basement floor alone due to its abundant stock mainly of popular items. 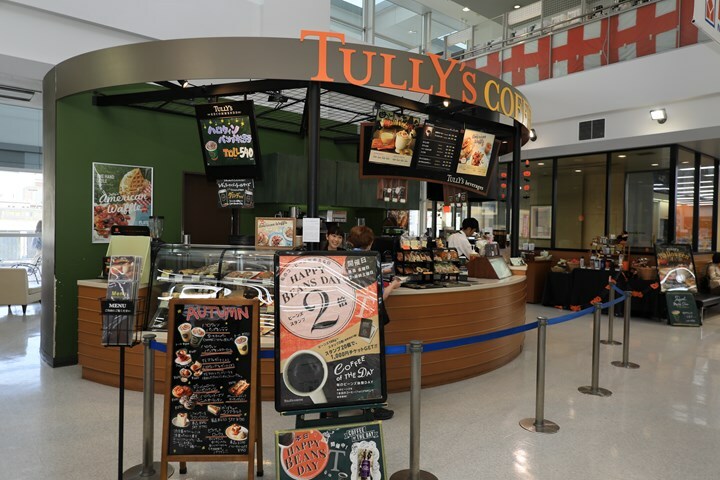 However, please visit other floors too since you have come all the way out to our store. 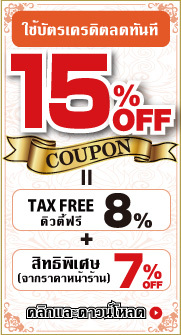 We respond to tax-free procedures at all selling sections in addition to Tax-free counter. 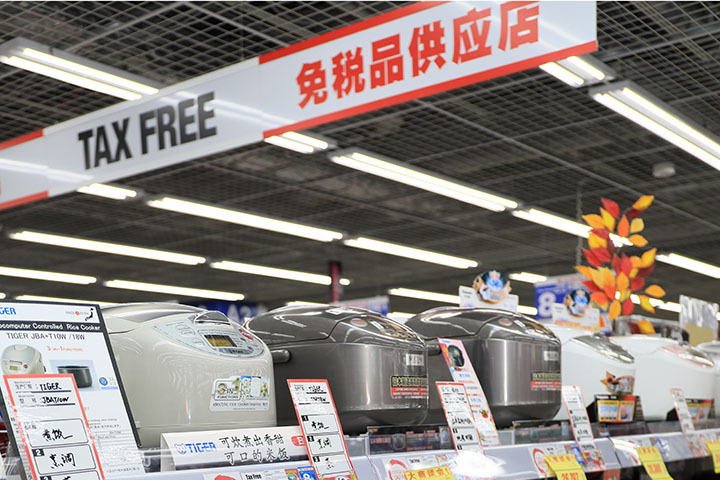 For example, cooking devices such as rice cooker are available on the ground floor and digital camera and other mobile devices are at second floor. 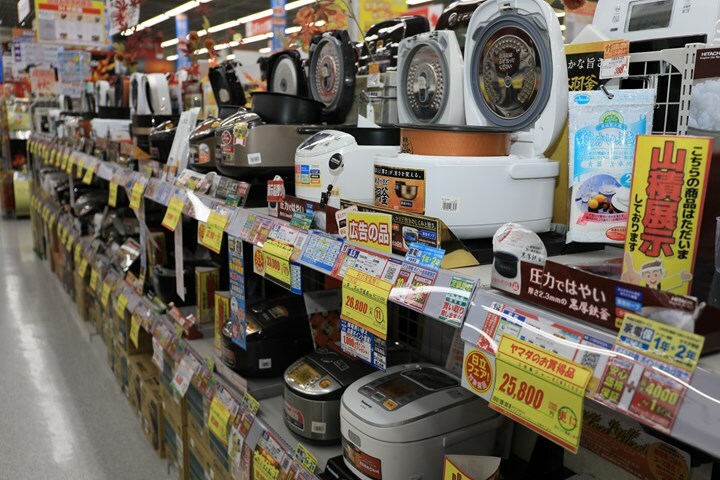 The number of items dealt by each selling section is large at top ranking in the region. Selling prices are also reasonable enough to compete with any other competitors. 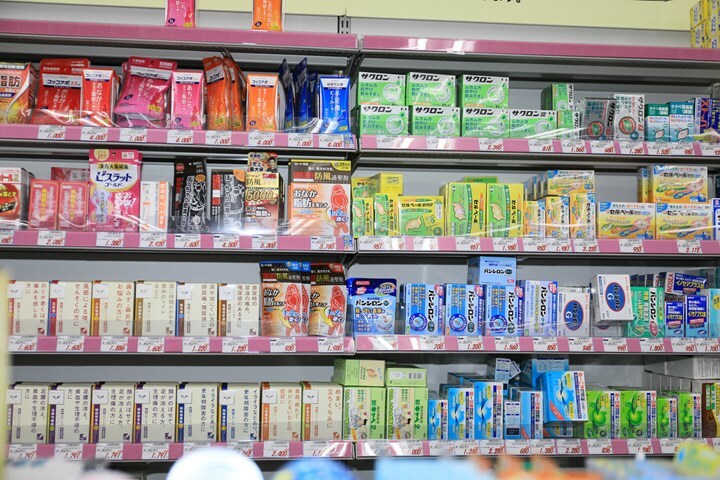 With staff members capable of foreign languages including Chinese assigned on the floors, they are able to completely explain products as well as respond to your questions. We assure you that your shopping will be satisfying one. 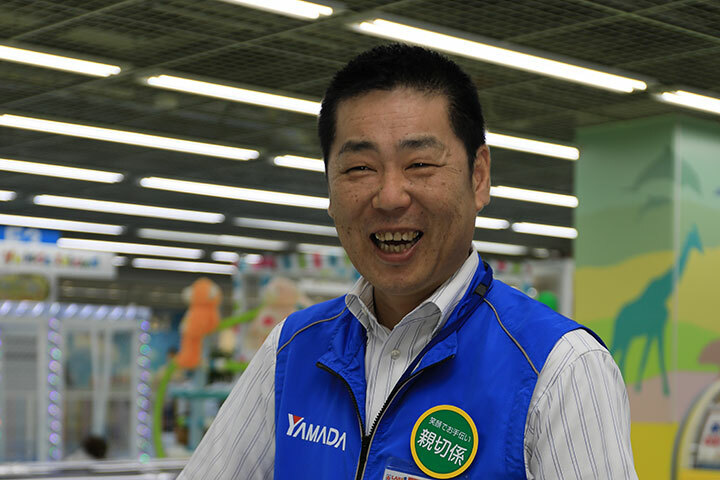 What I always ask our staff as the manager is that “Give services always with a smile while greeting customers cheerfully.” Shopping must be a pleasant event for customers. I do believe that smile of staff is the starting point to achieve it. 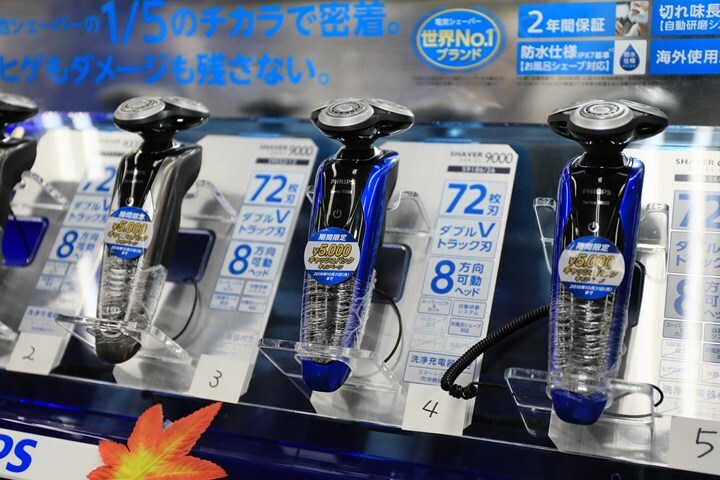 It’s not just for customers from overseas but also for Japanese customers too. In other words, usual practice of positive smiling may naturally please foreign customers too. 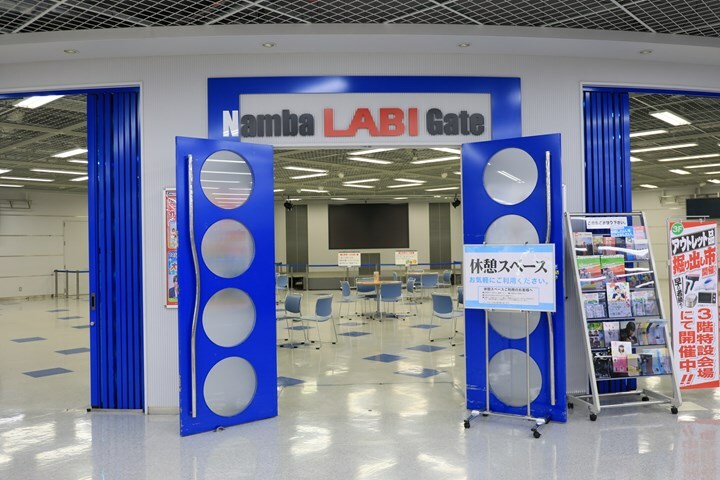 We believe it is exactly the “hospitality.” Please stop by LABI 1 Nanba store when you visit Osaka. 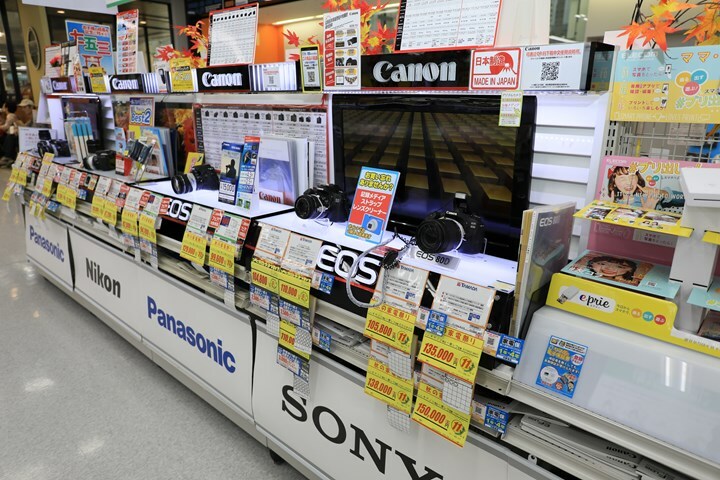 All of our staff members are willing to support you having enjoyable time in Japan. About three minutes on foot from “Nanba station” of Nankai Railway. Yamada Denki “LABI 1 Nanba” located at downtown of Minami, Osaka. Leisurely shopping is available for anyone due to the broad pathway. Rest spaces are available here and there on each floor.